EXECUTIVE SUMMARY: European intentions may be laudable, but seem far removed from Middle Eastern realities. 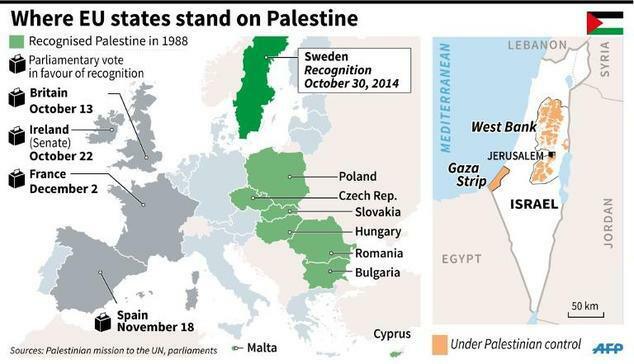 While partition of the Land of Israel between the Jews and the Arabs living in this small part of the world is desirable, the Palestinian national movement has proved to be the wrong partner to implement partition and is largely responsible for the failure of the two state solution. Conflict management is the only approach that has a chance to minimize suffering on both sides and achieve a modicum of stability in a stormy Middle East. The Europeans have decided that the Arab-Israeli conflict in the Holy Land, now over one century long, must finally end. 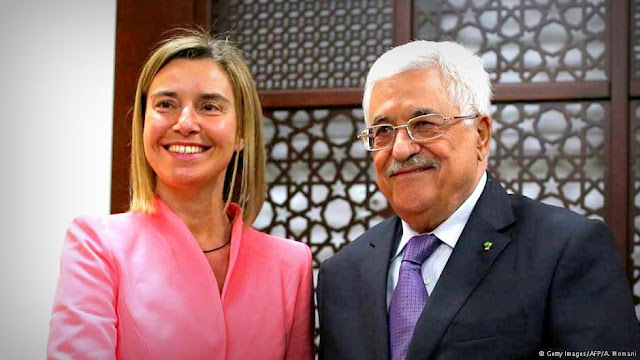 The High Representative of the European Union (EU) for Foreign Affairs Federica Mogherini came to Israel last week to convey EU impatience with the impasse in Israeli-Palestinian negotiations. France has signaled its intention to bring the matter to the UN Security Council in order to delineate the parameters for conflict resolution within 18 months. European intentions may be laudable, but seem far removed from Middle Eastern realities. While partition of the Land of Israel between the Jews and the Arabs living in this small part of the world is desirable, the Palestinian national movement has proved to be the wrong partner to implement partition and is largely responsible for the failure of the two state solution. The Palestinian national movement seems unable to reach a historic compromise with the Zionist movement. It still insists on exclusive control of the Temple Mount, on a “right of return” for refugees, and on removal of all Jewish presence in Judea and Samaria. Its media and education system perpetuates the conflict by teaching hatred of Jews and denigrating their links to the Land of Israel. Indeed, the gap in positions between Israelis and Palestinians is extremely large and cannot be bridged overnight. It is totally unrealistic to expect an agreement on final status issues in the near future. Ethno-religious conflicts usually end when at least one of the sides displays great weariness. But the bitter truth is that Israeli and Palestinian societies still have energies to fight for what is important to them. Europeans have difficulty understanding that peace is not necessarily the most important value for Israelis and Palestinians. The Palestinian Authority in the West Bank is not that different from Arab political entities, such as Libya, Iraq, Syria, or Yemen, who are unable to govern effectively their territories. The PA and its leadership are basically relying on Israeli bayonets to make sure that PA-ruled territory is clear of radical violent elements that want to topple the illegitimate rule of Mahmoud Abbas. This is the essence of the security cooperation between Israel and the PA. Economically, the PA is also dependent upon interactions with Israel and Israel’s cooperation with donor states. Above all, the Palestinians refuse to accept Israel as a Jewish state – a core issue in the history of the Arab-Israel conflict. While Israel, under the leadership of Prime Minister Menachem Begin, recognized the “legitimate rights of the Palestinian people” in 1978, the Palestinians still have not reciprocated. Moreover, the increasing appeal of Islamic elements in Palestinian society, a phenomenon reflecting regional trends, makes the acceptance of the Jewish State increasingly difficult. Palestinian denial of the legitimate right of the Jewish people to the Land of Israel only reinforces a broad Israeli consensus that the Palestinians are not a serious partner for peacemaking. The turmoil in the Arab world has also hardened Israeli positions in negotiations with the Palestinians. Political circumstances may change suddenly in the Middle East, making defensible borders an imperative. Israeli presence along the Jordan River is a vital security requirement for Israel. It is a pity that the Palestinians have not yet internalized this change and do not calibrate their aspirations to the realities on the ground. Unfortunately, realism is hardly part of the maximalist Palestinian political culture. Therefore, the Israeli-Palestinian protracted conflict remains intractable. The two state solution to which everybody pays lip service is simply not a realistic outcome under the current circumstances. Last year, Prime Minister Binyamin Netanyahu accepted reluctantly a working paper submitted by the US in order to save the negotiations with the Palestinians. But Mahmoud Abbas refused to accept the American document, effectively ending the American diplomatic efforts. As expected, Netanyahu’s latest concession – willingness to negotiate the borders of the settlement blocs – did not satisfy Palestinian demands. Over the years, the Palestinians have rejected generous offers by then-prime ministers Ehud Barak (2000) and Ehud Olmert (2008). Obviously, Netanyahu cannot do better. Therefore, a resolution to the conflict is not in the cards. The best that can be achieved is interim agreements, tacit or formal, that do not entail grave security risks for Israel. Conflict management is the only approach that has a chance to minimize suffering on both sides and achieve a modicum of stability in a stormy Middle East. 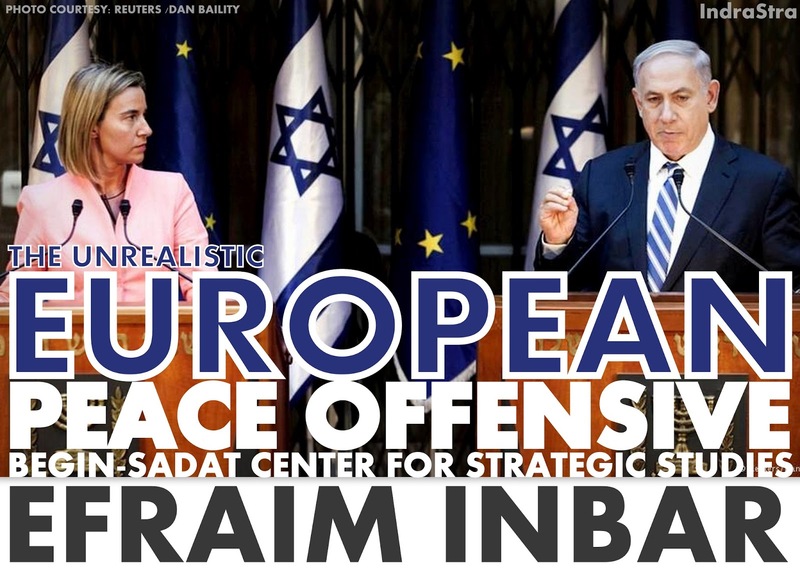 The European peace offensive, another exercise in futile diplomacy, will in all probability produce another bout of diplomatic activism in pursuit of another forum for an Israeli-Palestinian exchange of views that will similarly fail. Such failures hardly discourage professional diplomats who make an honorable living by trying to bring peace. Probably, the Quartet also will try its hand at peacemaking. We should wish all of them luck. Efraim Inbar, a professor of political studies at Bar-Ilan University, is the director of the Begin-Sadat Center for Strategic Studies, and a fellow at the Middle East Forum. This article was first published at BESA Center Perspectives Papers (On June 1, 2015) through the generosity of the Greg Rosshandler Family.